Ysa Makino made waves when it was first presented in Sposaitalia in Milan June 2002. Buyers were fascinated & overwhelmed by this young & innovative newcomer…Ysa Makino interplays luxurious fabric and lace with exquisite hand embroidery. Truly a work of art which highlights the meticulous detail infused to craft each creation to evoke a true sense of femininity and style! Ysa Makino believes that every evening gown creation should leave a lasting impression and each occasion should be a pleasant and memorable experience made possible only with that special dress that will be fondly referred to with pride in the years to follow. Dramatic evening gowns that make a startling entrance. 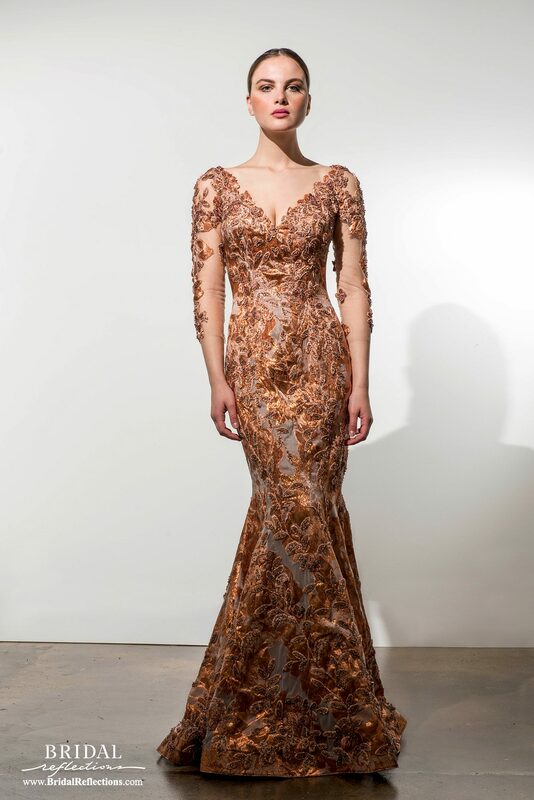 See stunning Ysa Makina Bridal Gown collection at Bridal Reflections New York!